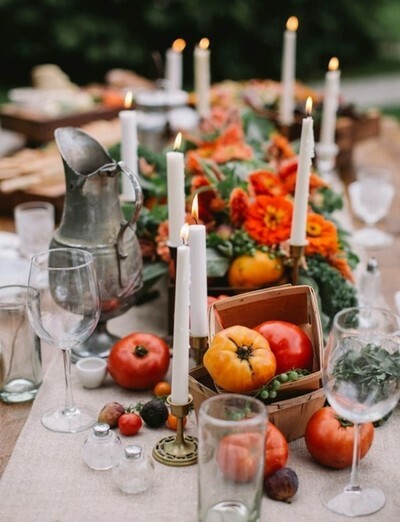 We can’t resist a great tablescape—or the excuse to put our Pinterest musings into practice! If there’s any time to pull out all the tabletop-styling stops, it’s Thanksgiving. This food-centric kickoff to the holiday season provides the perfect chance to impress visiting friends and family with your flawless décor taste and expert cooking skills (or expert ordering and reheating skills—we won’t tell!). Of course, for those of us who aren’t professional stylists, designing a lovely tablescape may not come naturally. Luckily, a slew of gifted stylists continue to create more than enough inspiration for the rest of us. Check the slideshow for a few of our favorite Thanksgiving tabletops—we guarantee you’ll emerge eager to tackle your own!